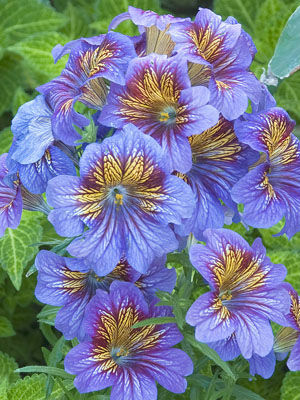 Showy salpiglossis blossoms look even better when the plants are framed with fine-textured flowers like frothy white sweet alyssum or dainty blue lobelia. Sow seeds in warm, moist seed starting mix or start with purchased plants. Seedlings grow slowly at first, so be patient.